Marie, aka Bendy Benz, is a huge cosplay freak! 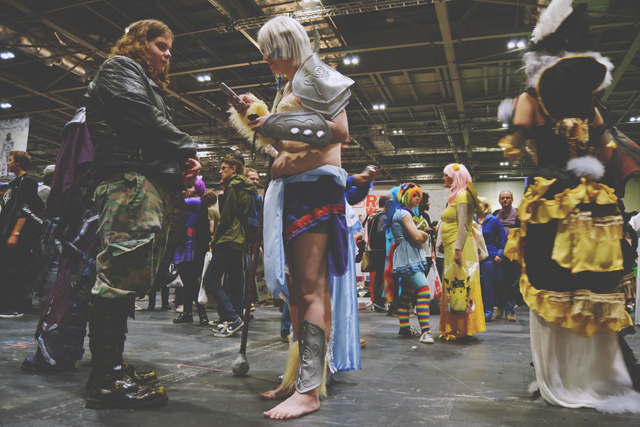 Last weekend, she took part in her very first cosplay event at MCM London Comic Con, and invited me along for moral support. 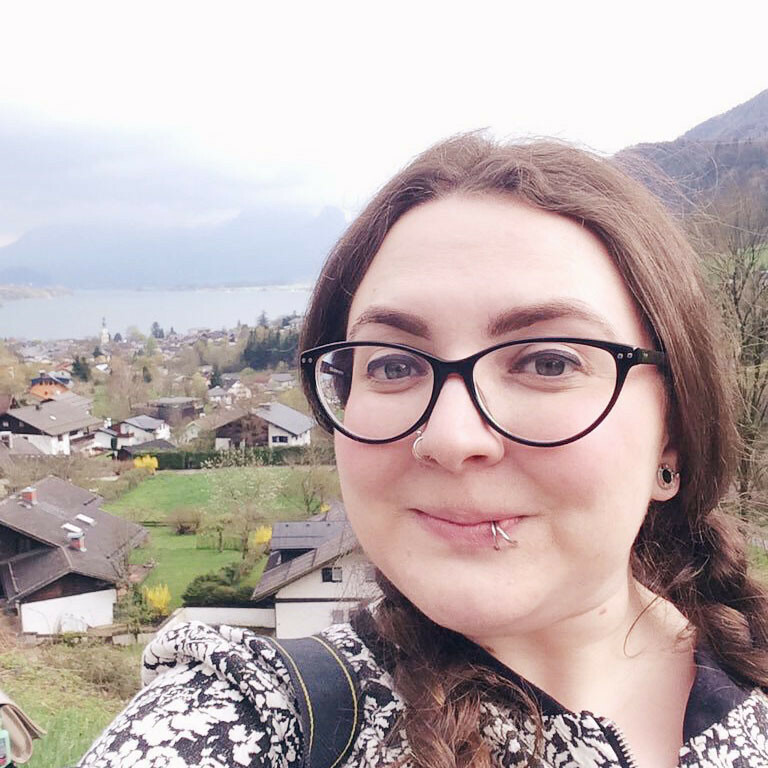 As a massive sci fi fan, Marie is always going to the likes of Star Trek conventions, so she's well-versed in these events. 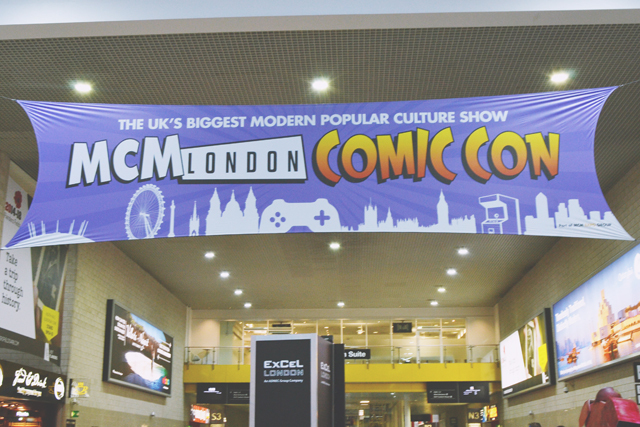 On the other hand, I'm more likely to attend kitschy exhibitions such as Hyper Japan (although I did once travel to Florida for a Harry Potter convention). 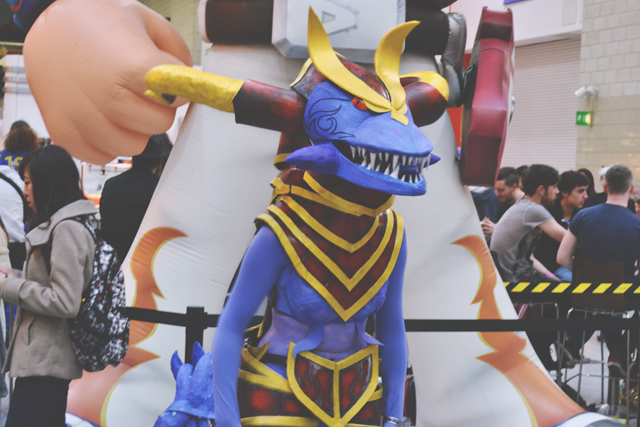 Although I'm not a newcomer to cosplay and geekery, I'd certainly never been to anything on this scale, so it was quite the experience! I have to be honest and admit I was totally blindsided by how busy it was. 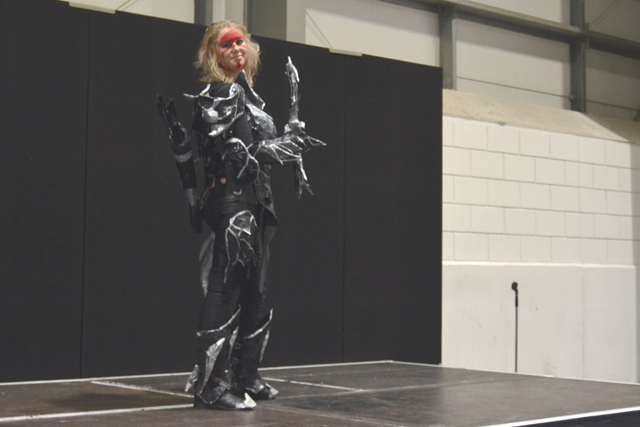 You could barely move, and Marie kept poking small children in the face with her cosplay! We needed to find the cosplay sign in but there were no maps or staff anywhere to be seen, so we had no idea where we were heading. After about 10 minutes of wandering around, we finally spotted an information point with a map and discovered we were in completely the wrong place. By the time we made it, we were half an hour late but the very kind staff were understanding. While rushing around, I'd felt a tap on my shoulder and turned to see Megan of The Briar Rose. I couldn't stay to chat, but she and her husband Grant were at the mini masquerade that Marie was performing in, so I joined them. You'll be glad to hear that both are absolutely lovely and, yes, Megan really is that stunning in real life! Marie was incredible! 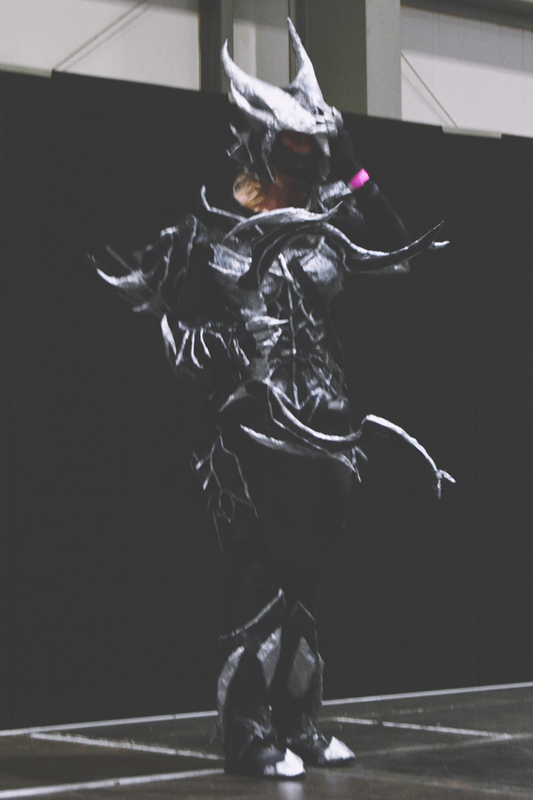 Her costume, entirely handmade from paper and resin, looked amazing and she seemed so confident. I was very proud of her! After a quick stop off for udon noodles, Marie went to get some autographs while I had a drink with Megan and Grant. 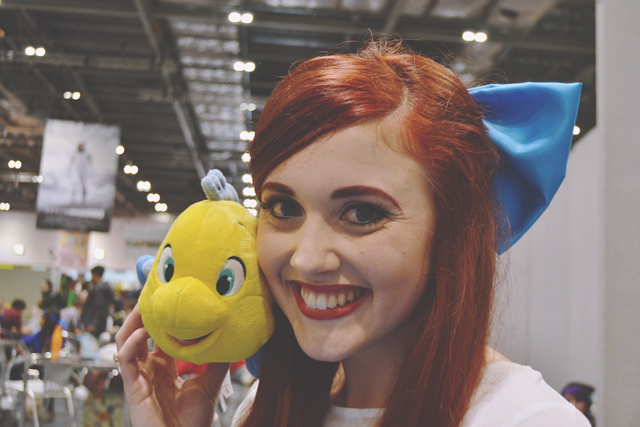 They were in costume as Ariel and Eric, which looked amazing! Marie eventually returned and we went together to get her autographs from the Red Dwarf cast. She's already met most of the cast, so we met, as I explained to Rich, the square head man and the girl whose head is in the TV (Google tells me that these characters are Kryten and Holly). Both actors were really lovely and seemed genuinely pleased to meet their fans, which was great to see. I also spotted The Cat, who is one of Leona's biggest fears, so I took lots of photos and sent them to her, because I'm a lovely friend like that! 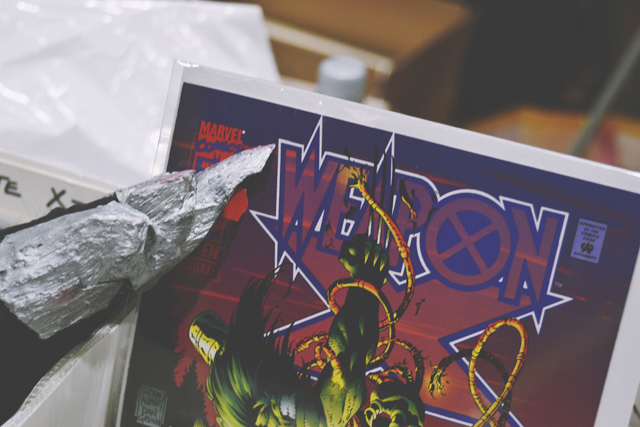 Once all the autographs had been collected, it was time for my favourite part of any event: Shopping! Unfortunately, the bandwidth was down so all the card machines were broken, which resulted in an insanely long line for the cash point. I did manage to leave with some Moomin goodies and Pocky sticks, but I had no choice but to be restrained. 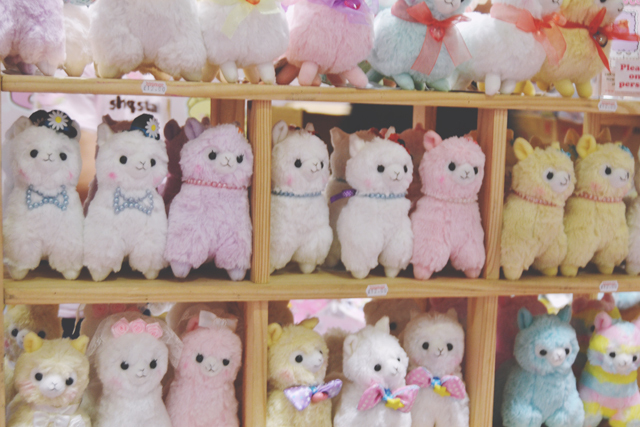 This wall of alpacas broke my heart! 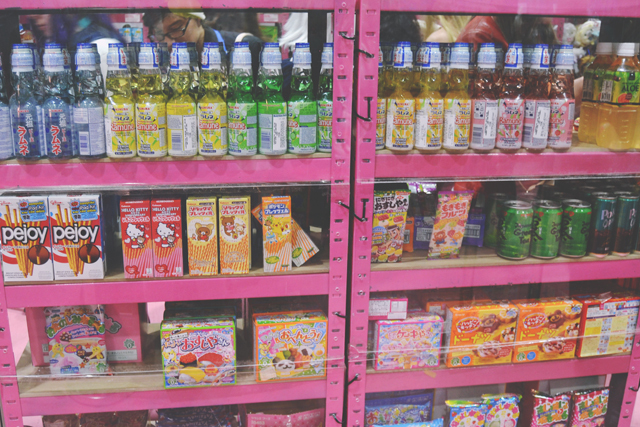 I want all of them, especially the rainbow one bottom right! 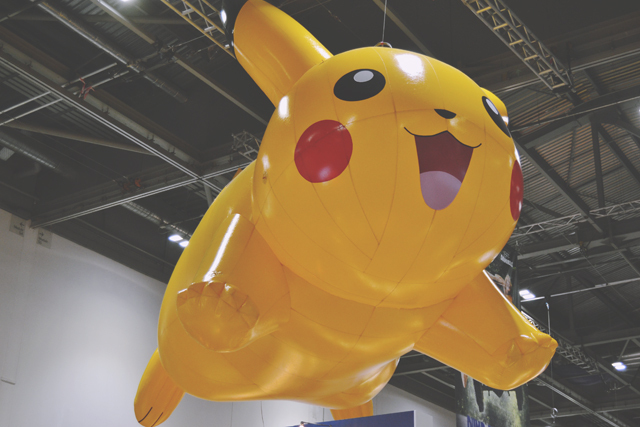 One of my favourite things was the massive inflatable Pikachu looming above our heads! Below him were girls handing out Pikachu caps and Pokemon cards. I'm pretty sure I annoyed Marie all day by saying "Can we get a Pikachu hat now?" so I was very happy when I got my hands on one! 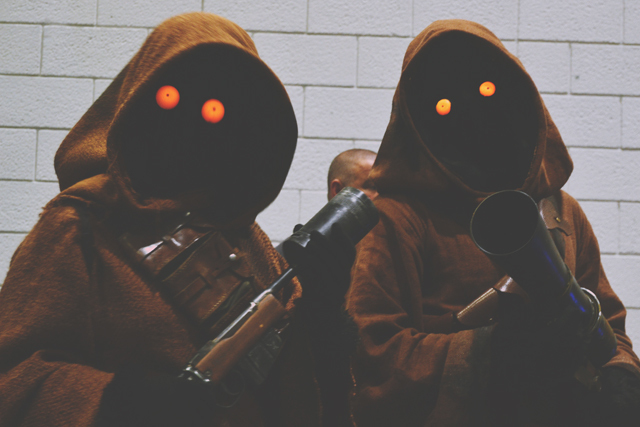 One of the best things about any exhibition or convention is taking in all the amazing costumes. There are so many incredibly talented and creative attendees. I'm just in awe! I had a fantastic time! This is definitely the sort of event that you really need a weekend ticket for, as it was impossible to squeeze everything in one day. 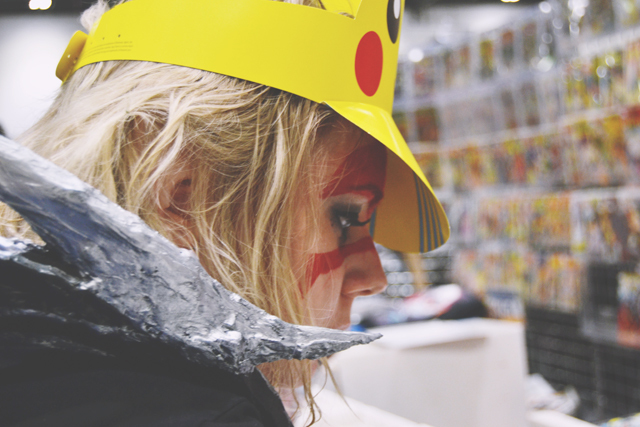 It was great meeting so many creative people and, of course, getting my Pikachu hat! Well I SENT them to you! Are you sure you didn't just block out the memory of it? 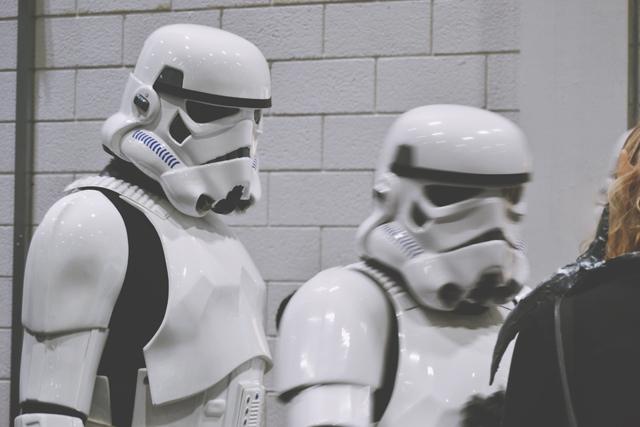 I've never been to anything like this - it looks like you had brilliant fun and it must have been really interesting seeing all of the different costumes that people were wearing! 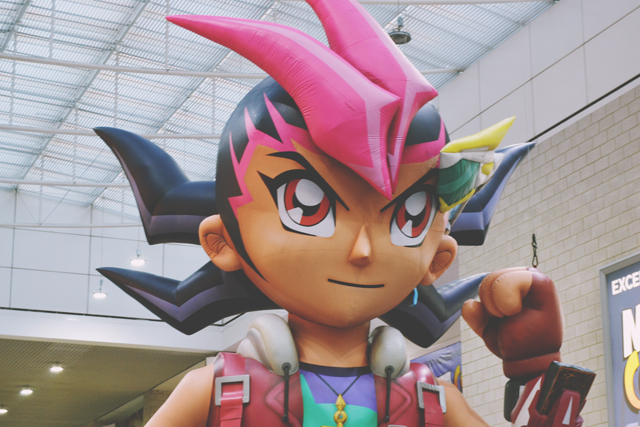 I love a good convention. 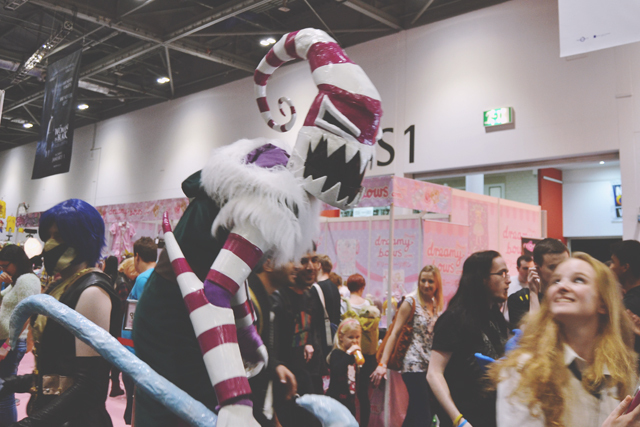 I went to MCM earlier this year, and yes, it's hard to walk around!! I only usually attend them when there are guests I want to meet - and so tempted to cosplay to whatever ones I go to next year, I am so jealous of how amazing everyone who dresses up, rocks it!! Oh I saw a bunch of people in waterloo station with pikachu hats and I really wanted one.